Please feel free to use FOCA materials, or add links to our content on your website. We only ask that you credit FOCA as the source. 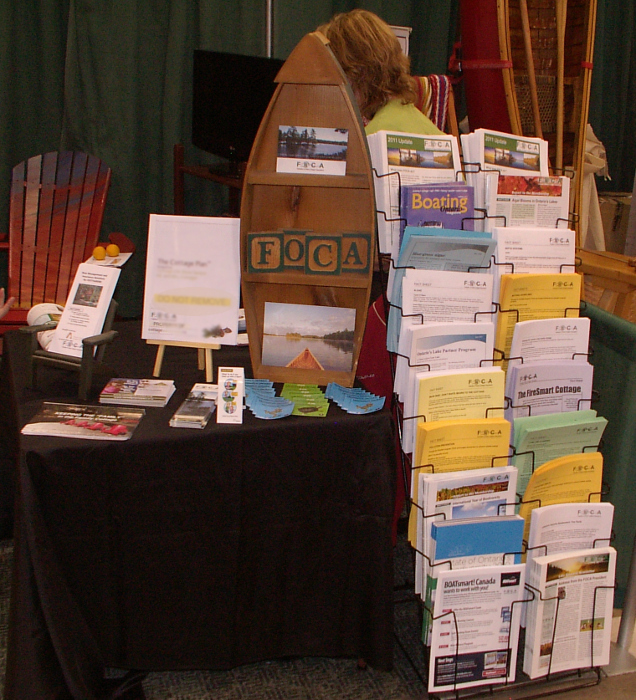 Where possible, please include our web address, www.foca.on.ca. Thank you for helping us to share this information with other waterfront property owners! As members of NALMS, FOCA is always striving to increase the general knowledge of lakes and lake health. This video, part of NALMS’s “student video series” explains the temperature dynamics of lakes and how this is important to lake processes and health. The Lake Protectors Series “Ribbon of Life” – Learning about the importance of the lake shoreline. The Canadian Lakes Loon Survey (pdf; 16 pages) – Volunteer to track Common Loon reproductive success by monitoring chick hatch and survival. MNR Fish On-line Map Tool – Find information for specific lakes across Ontario. Landowner Guide to Protecting Water Quality in the Kawarthas – includes great tips about how to protect your water quality, year round. Guide to Eating Ontario Sport Fish in Ontario – an online interactive map & print guide will tell you what is considered safe to eat, and in what quantity. Solutions for Shoreline Erosion (pdf; 10 pages) – A Basic Guide to Bioengineering – prepared by the MNR and several Conservation Authorities across Ontario.